We’ll send you this book in thanks for your donation of $35 today! 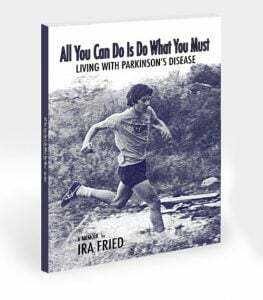 We’d love to send you a free copy of Ira’s memoir, “All You Can Do is Do What You Must: Living with Parkinson’s Disease” when you make a gift of $35 or more. And, since Ira is generously dedicating 100% of the proceeds to APDA, you can rest assured that your donation will be used to help people with PD find strength and optimism.